With the issue of global warming at hand, it is already expected that ocean temperatures would spike. However, the rate of warming is going way faster than the scientists have previously estimated, according to a recent study. In fact, the average ocean temperature reading for 2018 has set a new record. The implication of this record-breaking temperature does not bode well for the ecosystems under the sea and those communities lying in coastal areas. The new ocean temperature measurement for 2018 was assisted by a network of 3,900 floats that were installed in different locations in the globe. The observed trend in the ocean heat increase since 1971 shows that the temperature is rising faster than calculated by the climate change assessment of the U.N. in 2013. The annual data for ocean heat content proves that ocean warming has indeed accelerated. The warmth of the ocean is measured down to 2,000 meters (6,600 feet). At this depth, ocean temperature went up by about 0.1 degrees Celsius or 0.18 degrees Fahrenheit per year from 1971 to 2010. Also, since 2000, measured ocean temperature every year has broken the record set by the previous one. Many climate scientists and researchers have been pointing man-made greenhouse gas emissions as the culprit behind the rising global temperatures. A huge portion of this heat is being absorbed by the ocean. Marine life is the first to be affected by the drastic rate of ocean warming. An observed ocean heat wave between 2016 and 2017 killed half the population of coral reefs at the Great Barrier Reef, which shows that coral reefs are very sensitive to the change in temperature underwater. In fact, around three-fourths of the world’s number of coral reefs have already been affected by high ocean heat, and it could only be a matter of time until they are also killed. 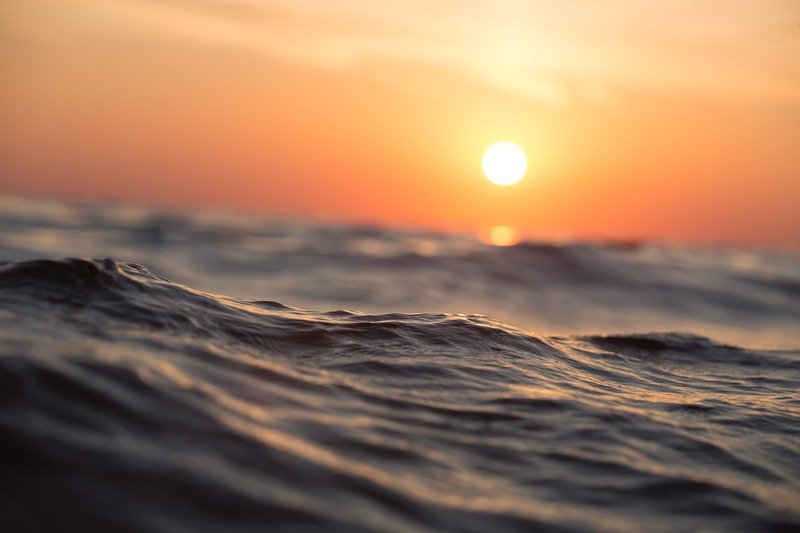 An increase in ocean temperature also affects the amount of dissolved oxygen that is important for the fish and other marine creatures to survive. Thus, continued warming could threaten their population as oxygen becomes depleted. Aside from marine life, even the human population will be greatly affected by the increasing ocean temperatures, especially those who are living in coastal areas. Warmer oceans have allowed tropical cyclones to become stronger and more devastating over the past several years. Some of the notable cyclones that wreaked havoc recently include Hurricanes Harvey, Irma and Maria, which lasted at a longer period and affected a wider swatch of communities in the United States. As ice caps melt due to ocean heat, this will contribute to increase in sea level, thus increasing the risk of coastal flooding. Another negative effect of melting ice caps is that there will be less sea ice to reflect the heat from the sun back into space, which worsens the greenhouse effect. We can help the nature and environment in our own little ways. Although, as the threat of climate change becomes increasingly alarming every year, we must let our voices to be heard and campaign for proper human activities to save the environment. Perhaps we can hold events that will educate more people about the drastic effects of climate change. In this case, you can visit party venues in OC Web Site to get the perfect hall for your conference.